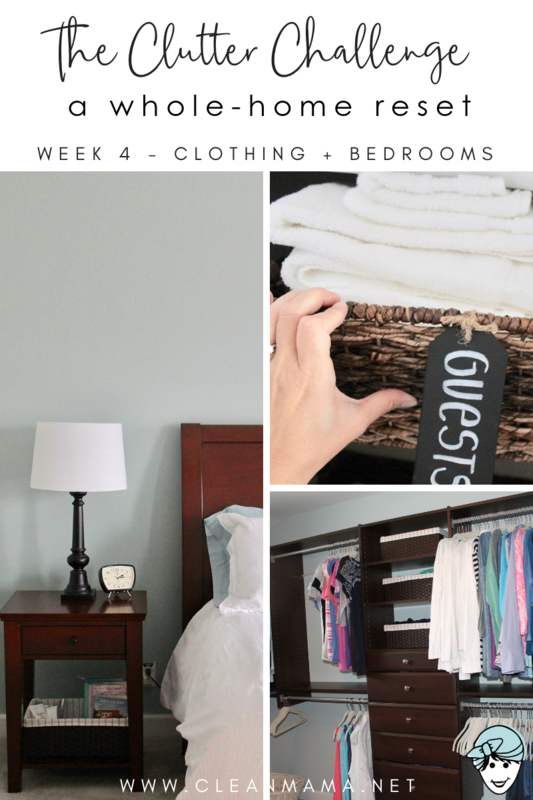 Welcome to week 4 of THE CLUTTER CHALLENGE! I am so excited for you to join me! How did week 3 go for you? Were you able to get a little or a lot of bathroom decluttering accomplished? For me, it felt really good to go through cupboards and drawers and pare down duplicates and to recycle and donate some rarely or never-used items. 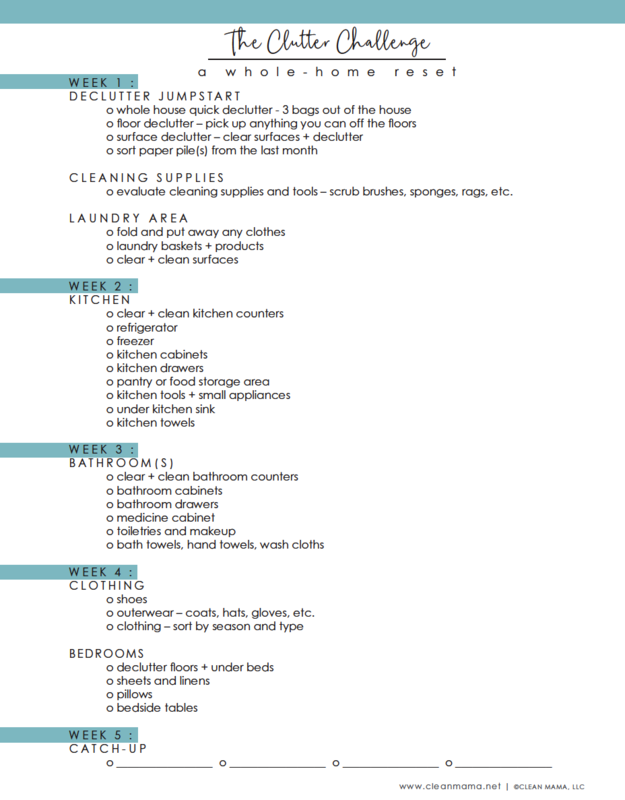 Are you ready for week 4 of The Clutter Challenge? Even if you didn’t finish everything up from last week or if you haven’t started, jump right into week 4 and follow the checklist. 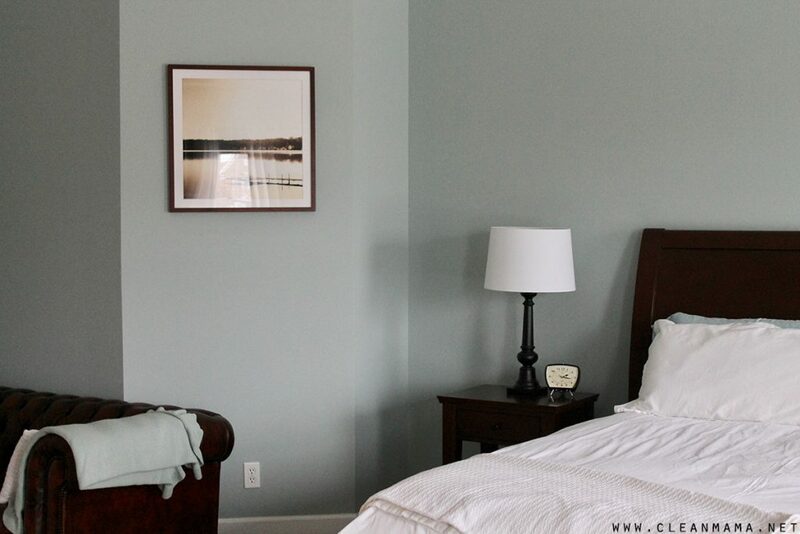 Each week, we’re working through different areas of our homes following the checklist. We’re starting this week with clothing and in the bedroom(s). Keep reading for links to posts and tips for getting your clothing and bedroom(s) decluttered this week. The goal for this week is to work on the Clothing and Bedroom(s) Checklist and do one or two of these things every day this week. shoes – donate any shoes that you no longer wear or use. If you’re going through children’s shoes, keep what fits. outerwear – coats, hats, gloves, etc. – don’t wear it or love it? Donate it! 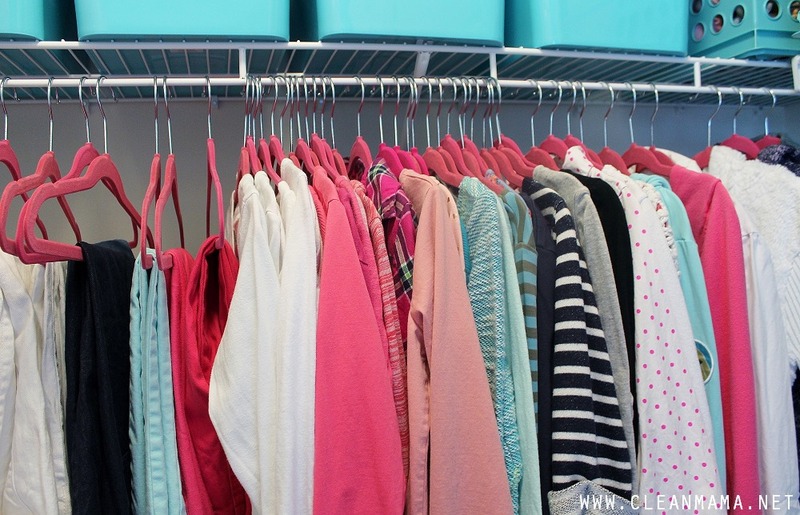 clothing – sort by season and by type – the same goes for clothing, donate what you are no longer wearing, what doesn’t look and feel great, and what might not fit any longer. sheets and linens – Have too many? Need some new non raggedy ones? Sort, fold, donate. pillows – Do a little assessment of your pillows too and see what you might need to launder and/or donate. duvets, quilts, throws – Assess these as well and launder or donate if needed. Every Monday for the month of January, I’ll post some tips for the week ahead right here on the blog (make sure you’re subscribing below). Read on for more, grab your checklist, and follow along! I’ll be posting daily as much as I can on Instagram Stories my personal progress with the hope that it inspires and helps you along the way too! 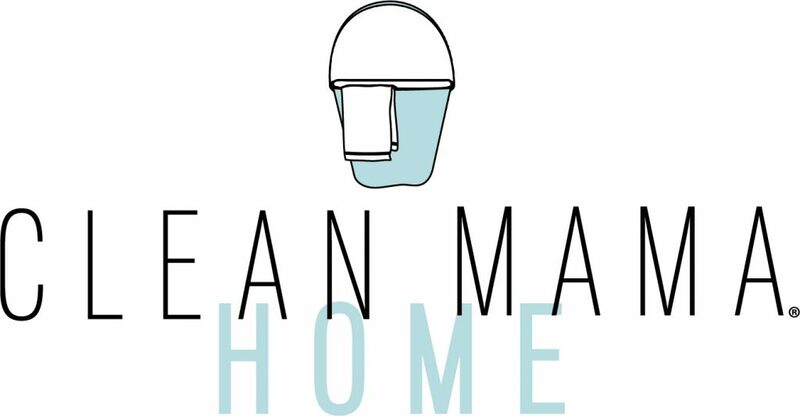 Follow and tag me on Instagram @cleanmama as you post your progress! I’m rooting for you and completing the challenge right along with you. Psst! 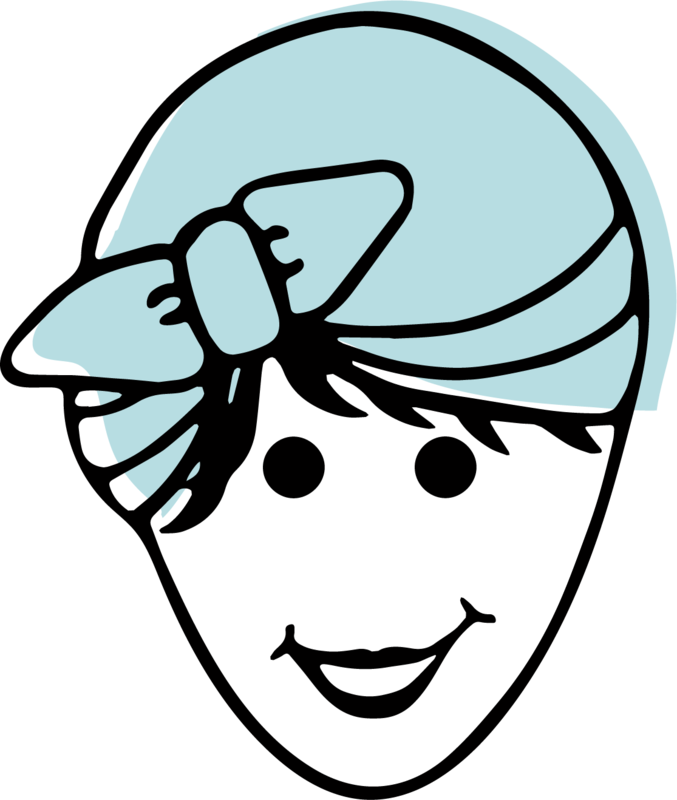 The Whole Home Declutter is the MONTHLY FOCUS in my Homekeeping Society subscription. 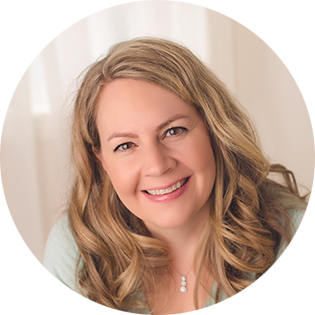 Every month I focus on one room or area for the entire month – the subscription provides extra support and details to help you get and keep your home clean and organized. Check it out here. See you back here each Monday for each week’s tasks in THE CLUTTER CHALLENGE!